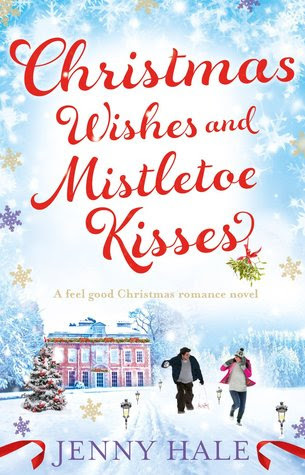 Abbey Fuller is given a chance of a lifetime when asked to decorate multi-millionaire Nick Sinclair's mansion in time for Christmas. He has no interest in decorating really, but his grandmother insists, and he knows it will put his family's mind at ease--they already think he works too hard. This is Abbey's first real project and hopefully will be the kick off she needs to start her dream career in interior decorating. She's currently working as a nurse for Nick's grandmother, barely making ends meet as she supports her young son and helps her own mother with her sick grandfather. Nothing prepares Abbey for what she finds when she enters Nick's house. It's huge and grand and nothing like anything she has ever set foot in before. She and Nick are worlds apart both economically and in life experiences. Nick has always lived a privileged life and has never wanted for anything. The attraction is instant for both Abbey and Nick, but is very understated, which I liked. No zings or sparks or anything so obvious. Just a lingering look now and then. The novel reads at a leisurely pace, slow at first, allowing the reader to get to know Abbey. From all appearances, the two have an uphill battle in terms of having any sort of romantic relationship. Nick is very tied to his work, having decided long ago he was not interested in having a family. Abbey is cautious when it comes to men, having had a bad experience with her son's father who, like Nick, hadn't really wanted kids. He was never around. She dreams of one day having a loving husband and many more children. I am the kind of person who respects someone's choice to have or not have children. It is a very personal decision to make, and so I was curious but also leery of how this particular conflict would be handled in the novel. I felt that the author Jenny Hale dealt with it in a respectful and believable way, given her characters and their situations. It was not a case of one character talking the other into their side--it was more complicated than that. Then there is Max, Abbey's six year old son. Romance with a child involved can be tricky. As a mother, I cannot help but immediately think of the child and the consequences any such involvement can have on him. Abbey is concerned about that too and is very protective of her son. There are a couple of moments in the novel in which this comes out in full force, and it made me respect Abbey all the more. I really liked Abbey. She is hardworking and thoughtful. She wants what is best for her son. For all her posturing about being afraid to get involved with a man, she sure falls for Nick fast though. I cannot blame her. Nick seems like a very nice guy. Even as a workaholic, he takes time out to make Abbey as comfortable as possible, accommodating her, and really listening to her. He is amazing with her son, Max, as well. I love a good Cinderella rags to riches story, but I also tend to be more critical of them too, especially when it comes to contemporary romance. I am not sure why, other than perhaps something to do with the different power levels that often come with it. Add to that the fact that Abbey is working for Nick. Although written in third person, the novel is told from Abbey's perspective, and so while we get to know Nick from conversation and his actions, we are never really in his head. As a result, the reader is well aware of just what Nick has and Abbey does not. The author does try to make a point that Abbey is not exactly poor-at least when it comes to truly living life--and that comes through as the story progresses and as Nick comes more and more out of his office. It never felt as if Nick used his money or power to influence Abbey--if anything, he tries to push her away (although he wasn't very good at it--he'd tell her they had to keep their distance, and then be outside building a snowman with her). There is one scene in particular in which Nick spends an extravagant amount of money on Abbey and comments about how he thought she would like it because his ex did, to which Abbey promptly replies she is not his ex. Then she gives in. I wish the author had taken it a bit further to hammer the point home. But that is just me. Abbey and I are not the same person. I enjoyed spending time with Abbey, Max, and Nick, as well as their families. Particularly Señor Freckles, the rather wild but impossible not to love cat. Christmas Wishes and Mistletoe Kisses really is a feel good novel--clean and fun. Very Christmas-y in terms of the romance and the spirit of the season. The ending was perfect--this was an enjoyable addition to my Christmas-themed reading. To learn more about Jenny Hale and her books, please visit the author's website. Romance when a child is involved is complicated but it's also something a lot of people can relate to these days. This sounds like a sweet book for the holidays. Kathy - I agree, it is a lot more common today for couples going into relationships to have children from previous ones. Which only makes it even more important that parents take their children into consideration before hooking up with someone. As a result, I like it when a book's characters do just that. Glad you enjoyed this Christmas romance. Love the name of the cat! Jenclair - It is perfect for this time of year. :-) I love the name of the cat too! I love clean and fun books, and this sounds really good! I wish I had read more Christmasy books this year! I can't imagine trying to date with a kid. Stacy - I think it would be a challenge, especially balancing how much to tell or involve the child. It'd be awful for the child to get attached to someone just to have them completely disappear the next minute. I'm glad you enjoyed reading this book, Wendy. I didn't read any Christmas themed books this year, which is a surprise to me, and I figured it must be I still have a few ongoing books to read and I don't want to add in more as I'm easily distracted, lol. Eustacia - It was quite enjoyable. I love these feel good books this time of year. :-) I'm sorry yours ended up being disappointing. This sounds like a nice holiday read, I like the title. I don't like love at first sight stories so it's nice that these two seem to have fallen for each other slowly. On the who thing about Abbey giving into him with the pricey gift giving, isn't it funny how things like that can stand out in a book? That happens to me often while reading, it can even be a minor thing, but it will kind of irk me, enough that I will mention it in my reviews. Great review, glad you enjoyed this one! Naida - I like the title too. Very catchy. :-) I'm not a big fan of love at first sight either. I know relationships often have to move fast over the course of a novel, but I like it to feel natural and not forced--and definitely realistic, you know?